For 70 years, he's been bringing smiles to children from Germany to now Utah. "There's something magic[al] about a chocolate bar come floatin' out of the sky," Col. Gail "Hal" Halvorsen told ABC News. "[It's] tied on an actual parachute. Hopefully, some kids appreciate it." Halvorsen, 97, started his candy drops when he was a U.S. pilot for the Allied forces during the Berlin Airlift. In 1948, the Russians cut off food and supplies to West Berlin, Germany. The United States and its allies started airdropping packages filled with flour, milk, meat and even coal to the starving city. 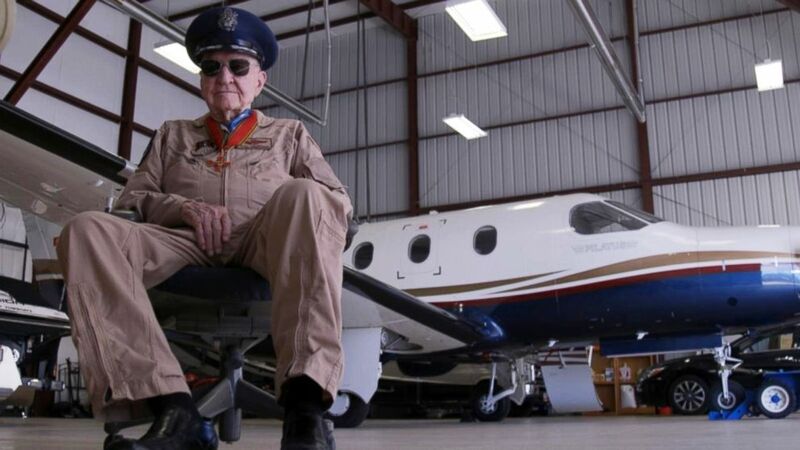 (Janet Weinstein/ABC News) Col. Gail "Hal" Halvorsen has been delivering treats to children for 70 years. First in Germany and now in Utah. Ruth Cheever, who was born in Berlin around that time, said her city had gotten hit hard during World War II, which occurred years before the airlift. "It's horrifying to a child. It's still embedded inside of your heart," she told ABC News. (Janet Weinstein/ABC News) Civil Air Patrol groups now help him get the candy ready, tying the parachutes together in his special way and following his every instruction. Then, Halvorsen boards a helicopter to make his special delivery. Halvorsen, who was 27 at the time, was one of the pilots dropping packages into the city. He said he was inspired to do something special for the suffering children. "I thought, 'Well gosh, I get a chocolate ration. I can share it,'" he said. Cheever said Halvorsen's drops were exciting. After Halvorsen was identified as the mysterious candy dropper by a journalist who spotted his plane's tail number, he inspired other pilots to join his effort, dropping candy until 1949. (Janet Weinstein/ABC News) Col. Gail "Hal" Halvorsen sits in an airplane hangar in Spanish Fork, Utah. The purpose of the air drop is to bring more recognition to the Gail S. Halvorsen Aviation Education Center that's planning to be built. "We were hungry and, you know, for someone to come in and drop us some candy," Cheever said. "[I] only can say thank you to Gail. Thank you. Thank you. Thank you." When he was released from the airlifts in 1949, Halvorsen flew to his hometown of Garland, Utah, where the tradition continued. "They [children] run just has hard now as they did in 1948," he said with a smile. Halvorsen's daughter Denise Halvorsen Williams said Civil Air Patrol groups helped him get the candy ready for his July event, tying the parachutes together in his special way and following his every instruction. Then Halvorsen boarded the helicopter to help make the special delivery. (Janet Weinstein/ABC News) Candy drops from the sky in Utah. 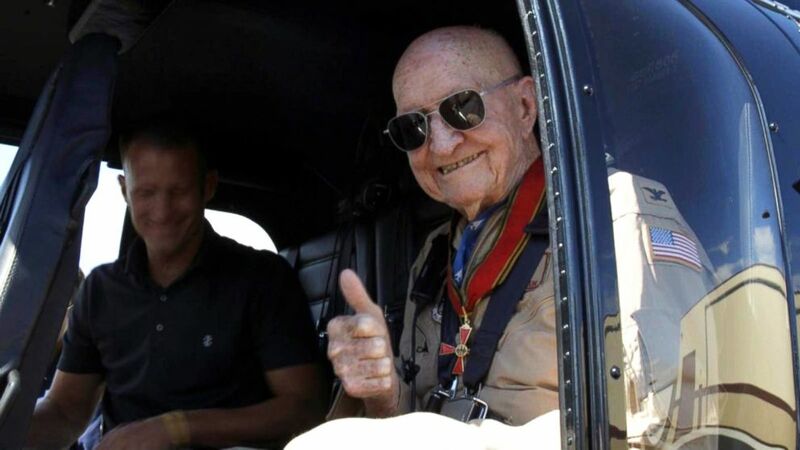 Since 1948, when he was a pilot during World War II, Col. Gail "Hal" Halvorsen has been delivering treats to children. First in Germany and now in Utah. 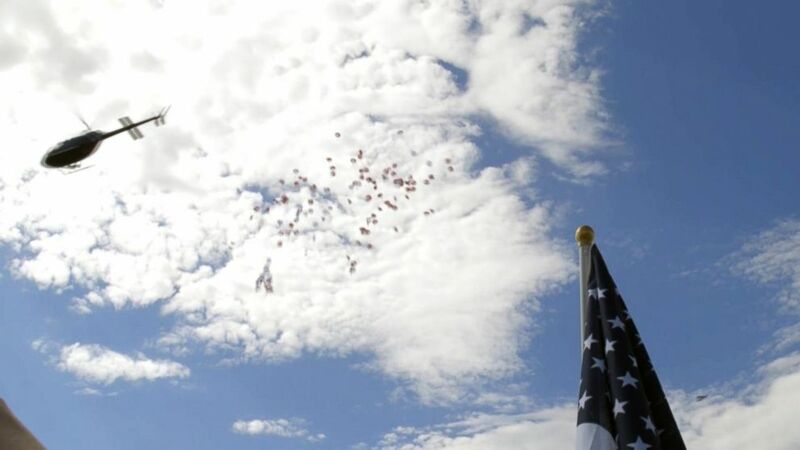 Williams said the purpose of the air drops is to bring more recognition to that time in history and help with funding the Gail S. Halvorsen Aviation Education Center that's going to be built in Spanish Fork, Utah, where Halvorsen lives. "It's an integral part of the Berlin Airlift celebration," Halvorsen said of the candy drop. "If we get outside of ourselves in the road of life, for somebody who is struggling more than you are, then you're going to be rewarded in a way you'll never know." You can watch more originals from our digital team on the ABC News app.